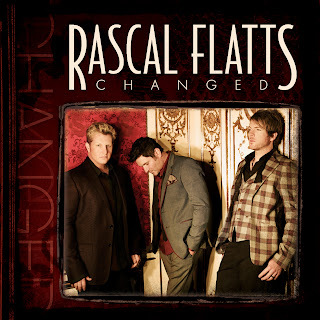 I was lucky to be selected by One2onenetwork to go the one night event at the movie theater of Rascal Flatts and hear some songs from their newest album "Changed"
I asked my friend Jackie who really likes Rascal Flatts if she wanted to go and see them at the theater and we had a great time. It was a girls night without the kids. When we first got there we talked to the manager and he directed us to the movie. When we got into the theater there was only one other person in there. when the movie started there was a little bit technical difficulties but the manager soon fixed it. I really had a great time, we got to hear about the stories behind the music, which was very heart warming and some of the stories really touched home and brought tears to my eyes. I could feel myself being drawn in by the stories and the music. They all agreed that Changed is the best work that they've done, and part of that stems from their ability to draw on their long experience together. "We couldn't have made this album any earlier in our career, " says Jay. "We had to go through a lot of stuff to get to this point." I was just amazed with this trio and the inspiration of this band was awesome. They did some trivia questions, and some Q & A with the audience. They talked about their lives as being married and as being a Father.. They talked about how they got into music and how it inspired their soul. Changed is their eighth album. This is their 13th yr singing as Rascal Flatts. I had such a great time with my friend and this band I have grown to love their songs, and their music really touches my heart. I'am a member of One2onenetwork and I received tickets to see Rascal Flatts at my theater in exchange for a review. No monetary compensation was received and all opinions are 100% my own. This sounds like a lot of fun! Glad you got to have a girl's night out. My husband is a big fan of Rascal Flatt's and he loves the new album. Sounds like an evening filled with great memories that will last a life time. 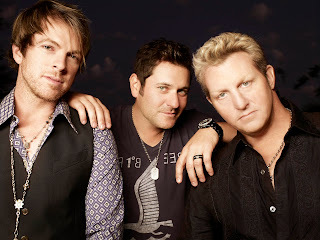 I love Rascal Flats! What an awesome experience! Sounds like you had a good time! My Aunt just seen them live not to long ago, said they were great. I have their very first album, and have loved their music before they got "popular". Can't wait for this new album to come out! SO awesome you got to go experience that! !